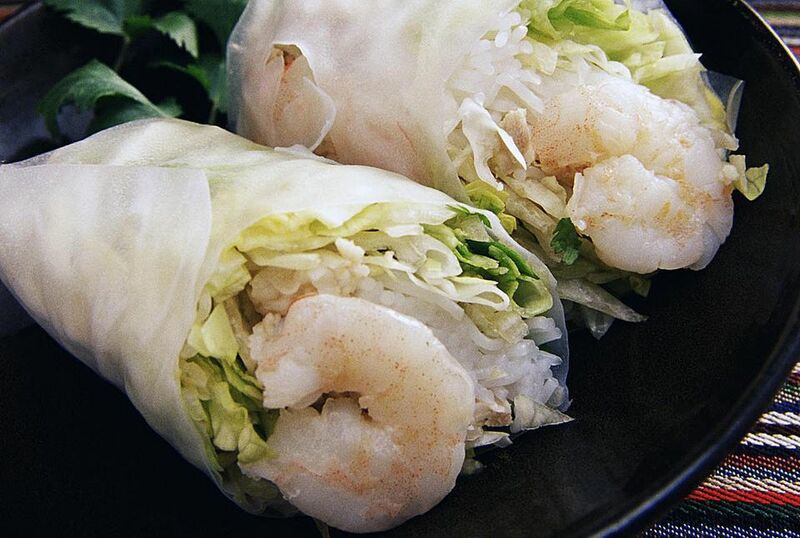 Traditional Vietnamese spring rolls, or "Cha Gio," were originally made for royalty, hence the nickname "Imperial Rolls." The combination of ingredients you choose for the filling can not only make a delicious dish, they also ensure that the spring rolls are as healthy (or unhealthy) as you want them to be. When looking for flavors, you should try to strike a good balance ​between the yin and the yang. This particular Vietnamese spring roll filling is wheat-free and can be served anytime. They are good as appetizers during main meals and perfect as snacks. The minced pork may also be substituted with either minced chicken or minced duck, depending on what you prefer. Soak the dried wood ear fungus in water for about 20 minutes or until it is soft. Cut out and discard the middle bit of the wood ear fungus if it is hard. Chop the rest into thin slices. Soak the soh hoon or dried glass noodles in water for about 20 minutes or until soft. Drain the noodles and cut them into 3-inch strips. Combine all of the ingredients listed above and mix well in a large bowl. Wrap your Vietnamese spring rolls and enjoy!